Most of you are probably familiar with Bollywood movies. 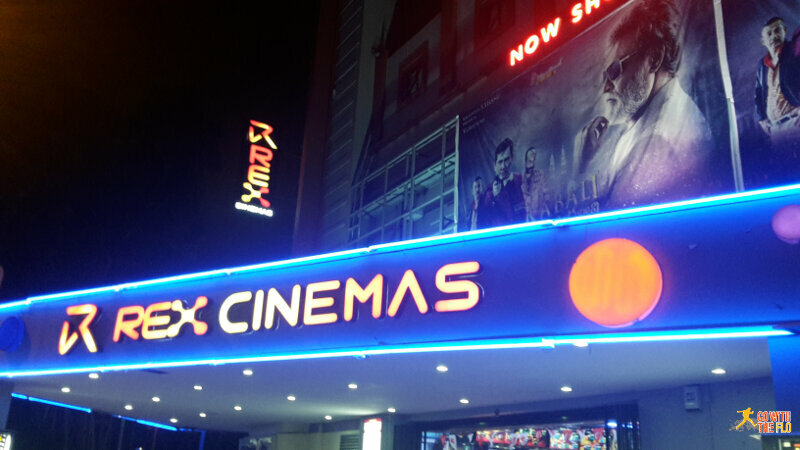 However, what few non-Indians know is that besides the Bollywood movies coming from Mumbai, there is a second movie capital in Chennai. The Tamil film industry, nicknamed Kollywood after the Kodambakkam area of Chennai, is famours for its movies with action and stunt scenes. The biggest star in the industry, Rajinikanth, is one of Asia’s highest paid actors and stars in Kabali, this year’s Kollywood blockbuster. The movie takes place in Kuala Lumpur, hence the Malaysian and Singaporean Tamil population (around 7% of the population) have been quite excited in the past weeks. Air Asia even painted an aircraft to promote the movie. 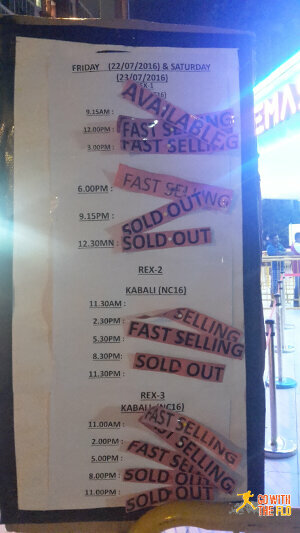 Tickets went on sale only about 24 hours before the first screening due to the pending rating by the Media Development Authority Of Singapore. I was lucky to be among the first to book a ticket online before the servers crashed when the booking site opened. So last Saturday night six of us (almost the only non-Tamils) in the cinema went to see the movie. It was quite a cultural experience. 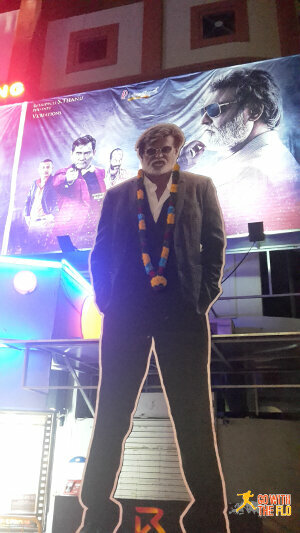 When Rajini first appeared on the screen, the entire theatre was cheering. We enjoyed the movie but probably won’t be watching a Kollywood movie every weekend from now on. Go see it if you get the chance!